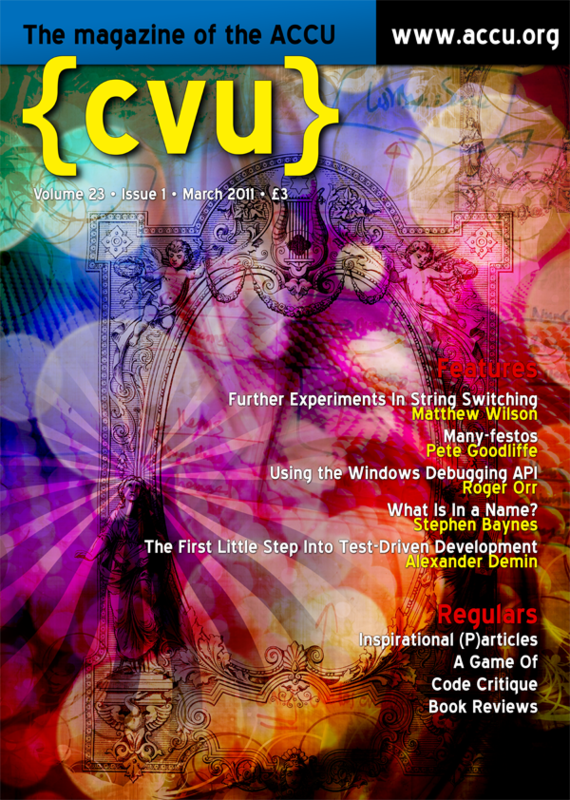 The March issue of ACCU's C Vu will be hitting doormats any moment now. It contains the latest installment in my Becoming a Better Programmer column. This one's called Many-festos, and is a slightly irked rant on the proliferation of software development "manifestos" that have sprung up recently, and some of the arguments that have arisen around them.